Those earrings in your last post are awesome! I checked out her site- I think I’m going to break down and get myself a pair! Love that chalkware cardinal…hmmmmm…hehehe!! Happy SPRING!!!! OH MY! Did you make those bunnies? Everything is so cheerful and happy! Enjoy your day! Yummy Spring stuff. I am so glad it is officially here. Have a wonderful weekend! Great happy photos..how can all that vintage fun stuff not put you in a good mood? 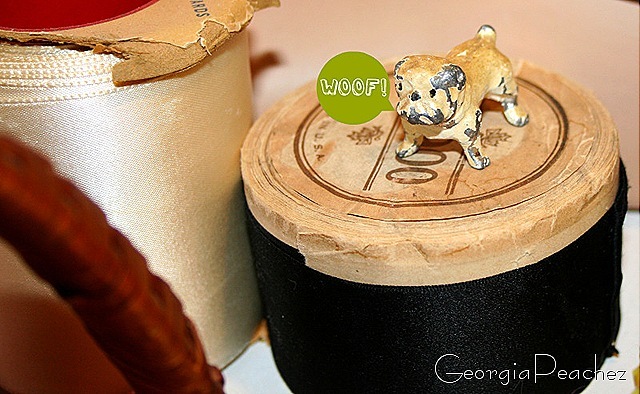 Cute, cute, cute…and vintagey! 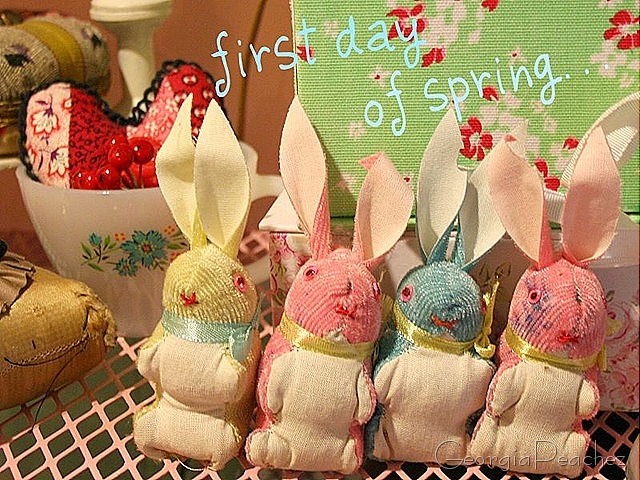 Love those adorable little rabbits…so happy for Spring time. Those bunnies are so darn cute – did you make them – is the pattern available. 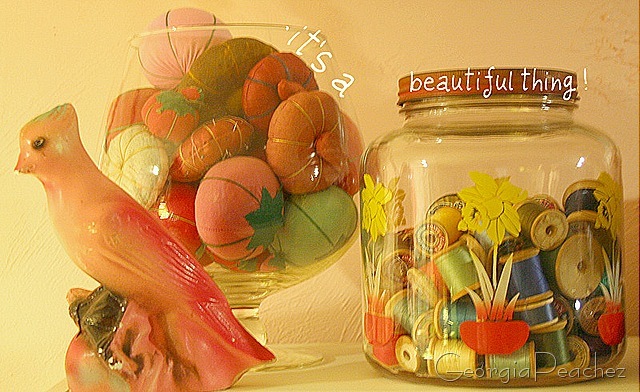 Love the pincushions in the glass bowl – how cute. Yep, it sure is! I spent the whole morning out there in the sunshine digging happily in the dirt! I don’t think I’ve mentioned lately; your pics and frequent posts are always a pleasure to see. :-)thanks! I love the bunnies! too cute. Hippity Hoppity Easters on its way!! Love the colors and the cuties one and all! You are so “good” with color! Really awesome!